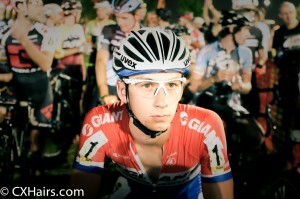 Lars van der Haar ready and waiting at the start of CrossVegas. 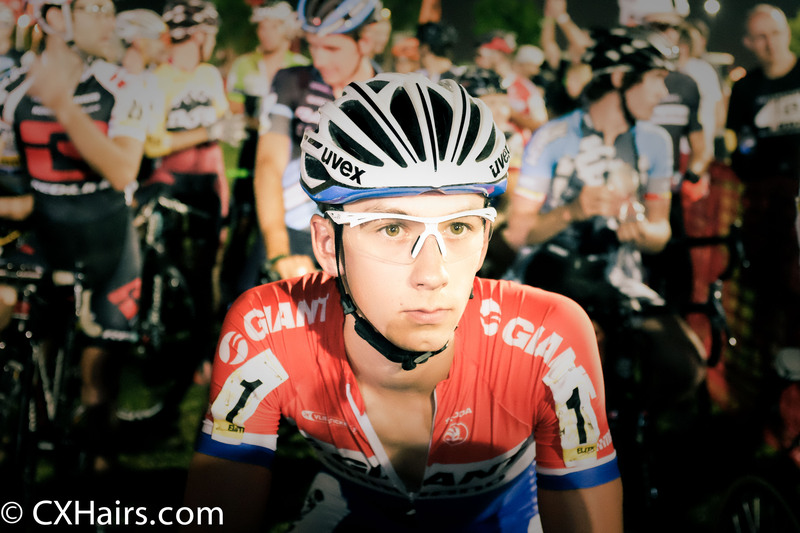 We had the opportunity to catch up with the 2014 CrossVegas runner-up, World Cup winner and Dutch National Cyclocross Champion, Lars van der Haar, post-race in Vegas. In this three minute interview we cover his season goals, racing on the road, training for cross, and the last lap of the men’s pro race at Cross Vegas in which LvdH and Sven Nys battle it out for the win. Of course, we weren’t going to pass up the opportunity to ask about the start. That holeshot was for you guys, America.